The ArtGemini Prize is a celebration of international contemporary art for emerging and established artists around the world. Now in its second year, the finalists’ exhibition, showcasing the 48 works shortlisted for the main prize of £5000, takes place at the Biscuit Factory in Bermondsey from October 23rd-November 1st. Gok Wan will be opening the private view of the finalists’ work on 23rd October at 6.30pm. With over 760 entries from 44 countries, The Art Gemini Prize is one of the fastest growing international art prizes. Judges include Zoe Wishaw, former European Director of Photography at Getty images. 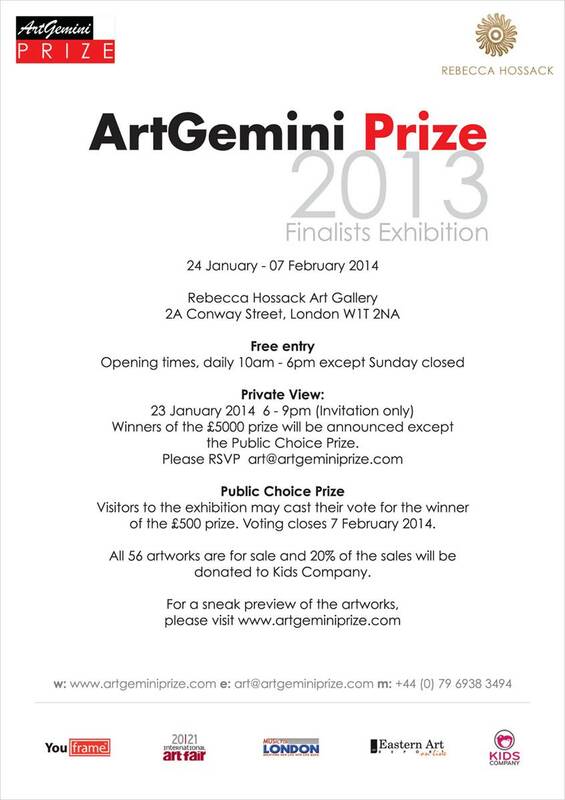 For more information, including a preview of the finalists’ work, please visit www.artgeminiprize.com. A cash fund of £5000 will be awarded to the winners in four categories. The Public Choice Prize is open for voting by the public during the exhibition, and the winner will be announced at the close of the show. Anti-bullying charity Kidscape is the charity partner for this year’s ArtGemini Prize and will receive 20% of the sale price of any piece sold during the exhibition. www.kidscape.org.uk. 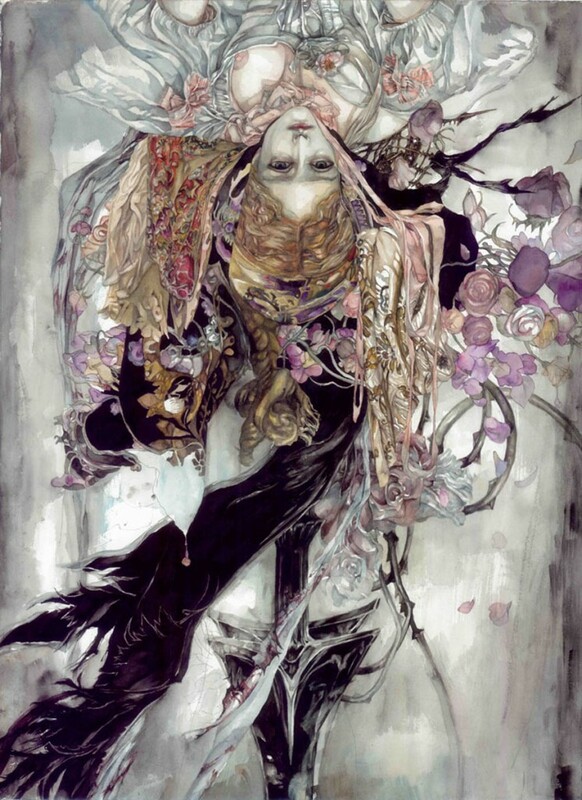 International Art Exhibition continues until 7 Feb – Final few days! A huge crowd attended the private view of the finalists’ exhibition of the ArtGemini Prize 2013 at the Rebecca Hossack Gallery in London on 23 January. The winners were selected from 744 entries from 33 countries. Read more about the winners here. The ArtGemini Prize Finalists’ exhibition continues until 7 February at Rebecca Hossack Art Gallery, 2A Conway Street, London W1T 6BA. Open daily 10am-6pm except Sunday, free entry. Visitors to the exhibition may also cast their vote for the winner of the Public Choice Prize of £500. Voting closes 7 February 2014. All artworks are for sale, and 20% of the sales will be donated to Kids Company. Our partner – We are proud to announce that 20% of proceeds from all sales of ArtGemini Prize finalists’ works will be donated to our selected charity, Kids Company, London. Art Gemini prize winners will be announced at the PRIVATE VIEW and EXHIBITION at the Rebecca Hossack Gallery, 2A Conway Street W1T 2NA on 23 January 6pm – 9pm Please contact us for an invitation. Artists, for 2014 entries, please register interest online now.